Cameron Arthur “Cam” Clarke (born November 6, 1957) is the voice actor for Leonardo, Rocksteady, and other characters in the 1987 animated series. 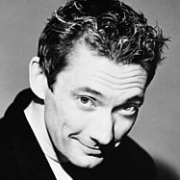 Cam Clarke began his acting career in the show The Hollywood Palace and later in The King Family. He continued to perform with his family on various TV specials until the 1980s when he got his first voice acting roles in the animated shows Snorks and Robotech. Clarke was taught by established voice actor Michael Bell. Clarke is best known for his roles as Kaneda in Katsuhiro Otomo’s Akira (Streamline-dub), Max Sterling and Lancer in the 1985 Robotech series, Rigadon in Around the World with Willy Fog, Dogtanian in Dogtanian and the Three Muskehounds, Leonardo and Rocksteady in the Teenage Mutant Ninja Turtles animated series, and Liquid Snake in the popular Metal Gear Solid series of video games. Clarke is also the voice of Prince Adam and He-Man in He-Man and the Masters of the Universe. He is also known to RPG fans as Ryudo in Grandia II, Kratos Aurion in “Tales of Symphonia” and Will Raynard in “Tales of Legendia.” He voices the male Blood Elf in World of Warcraft: The Burning Crusade. He uses a voice similar to Liquid Snake’s for this portrayal. To date, Clarke has voiced over one hundred titles. Cam is easily recognizable by his distinct voice which can fluctuate from adolescent sounding (Leonardo) to deep and soothing (Kratos) and to a faux British (Liquid Snake). Born in 1957 to actor Robert Clarke and singer Alyce King, he is nephew to guitarist Alvino Rey and pianist Buddy Cole, cousin to actress Tina Cole and writer Chris Conkling and half brother to musicians Ric and Lex de Azevedo.